1. For dough. Put the warm water in a bowl and sprinkle the yeast into the water. Whisk to dissolve the yeast. Cover and place in a warm place for 5 minutes. 2. Add 2 tspn olive oil, salt, and 83 grams of bread flour to the yeast mixture. Stir with a wooden spoon for about 5 minutes to form a wet dough. 3. Place the remaining 63 grams of flour on a flat worksurface and add the wet dough. Knead for 8 minutes to form a slightly sticky dough. If the dough is impossibly sticky at the end of the kneading, add the remaining bread flour one tablespoon at a time as necessary. 4. Coat the insides of a large bowl with olive oil. Form the dough into a ball and place in the oiled bowl, rolling the dough around to coat the dough in oil. 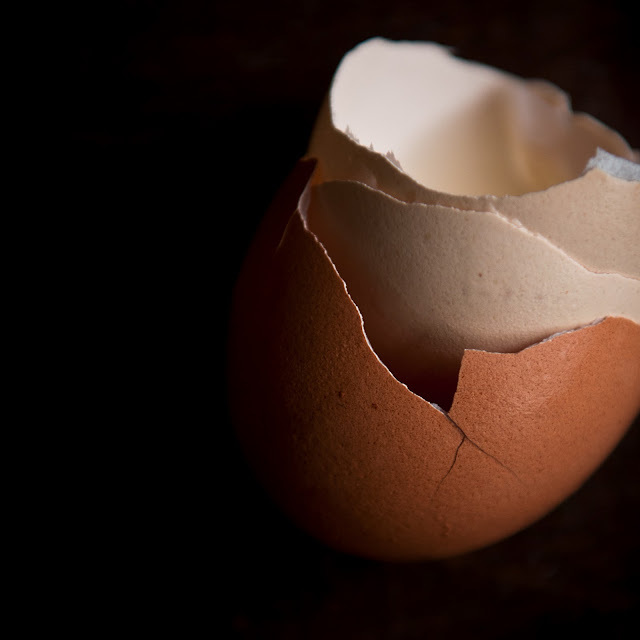 Cover with a damp towel and place in a warm, draft-free place to rise for 1 hour. 5. For baking and toppings. Preheat oven to 450° F with a rack in the lower-third of the oven. Peel and mash the garlic cloves. Combine 3 of the garlic cloves with 3 Tbspn olive oil in a bowl and set aside. 6. Spread cornmeal on the back of a baking pan or a pizza peel. 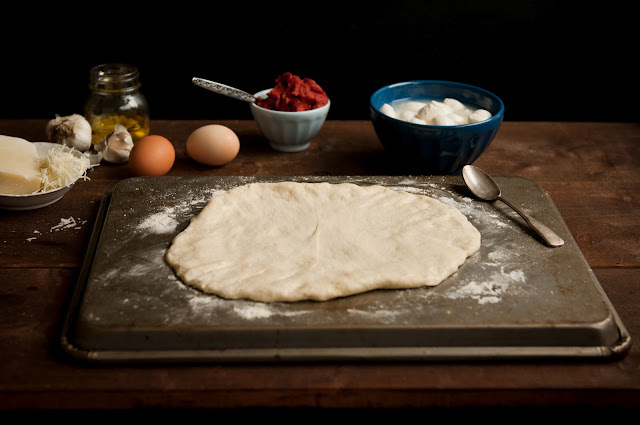 Take the dough and press it into a small round. Cover and let rest for 20 minutes. 7. Meanwhile, make the sauce. In a saucepan, heat a small amount of olive oil. Crush the peperoncino. Add the peperoncino and the remaining garlic cloves to the oil and saute briefly. 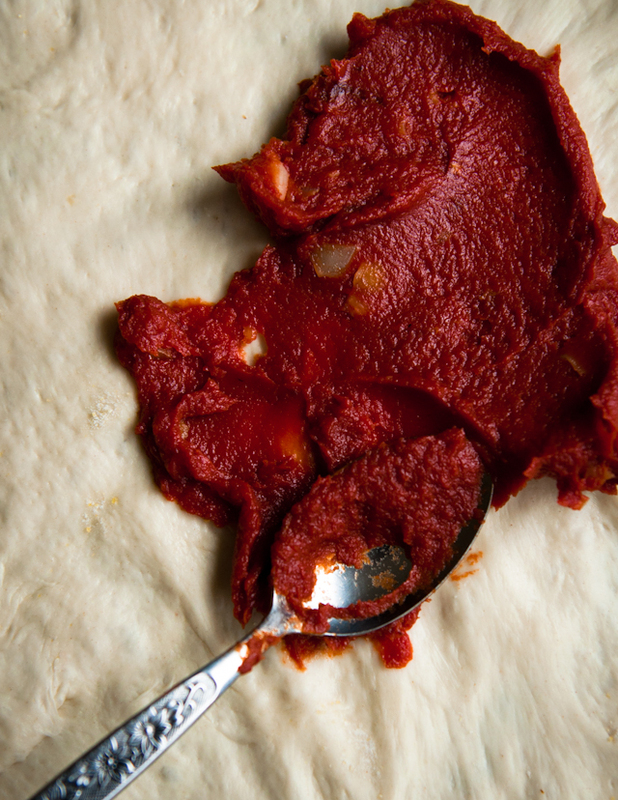 Add the tomato paste and 1 - 2 tablespoons of water to loosen the paste, if necessary. Stir briefly to combine the tomato paste, water, garlic, and peperoncino. Remove from heat and set aside. 8. 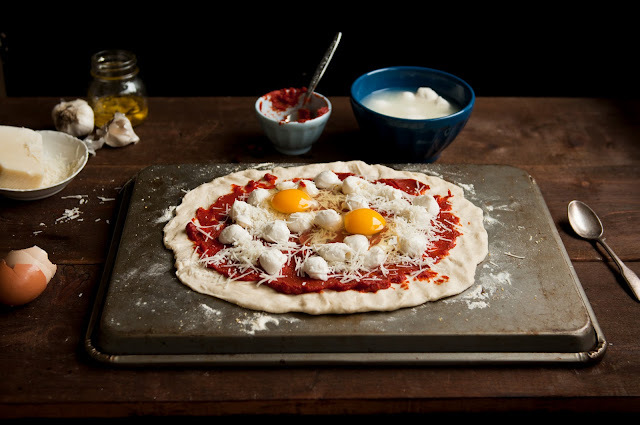 Uncover the dough and press it into its final shape. 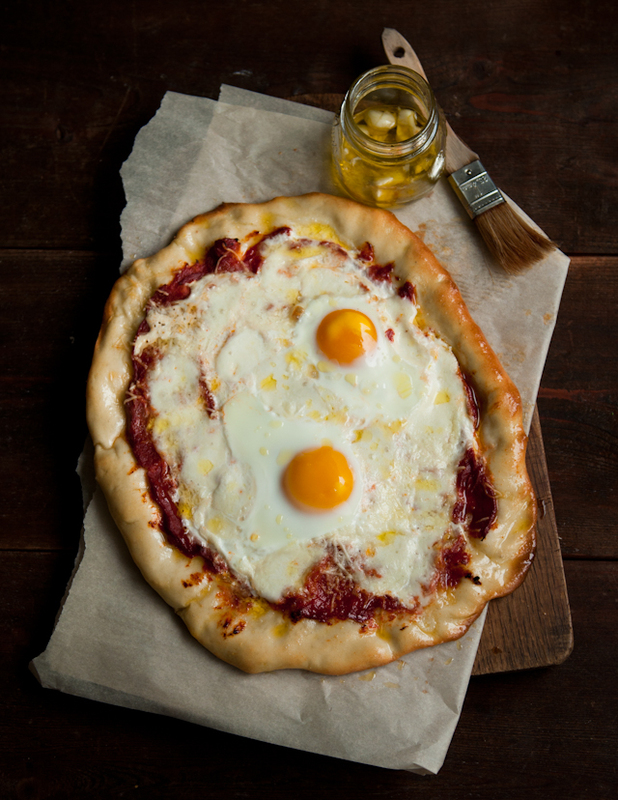 Cover with sauce, mozzarella, pecorino romano, and two cracked eggs. Place the pizza on a baking sheet in the lower third of the oven. Bake for 12 minutes. If using a pizza stone, transfer the pizza from the baking sheet to the stone after 8 minutes of baking. 9. Once the crust is golden, remove from the oven and immediately brush the exposed crust with the prepared garlic oil. 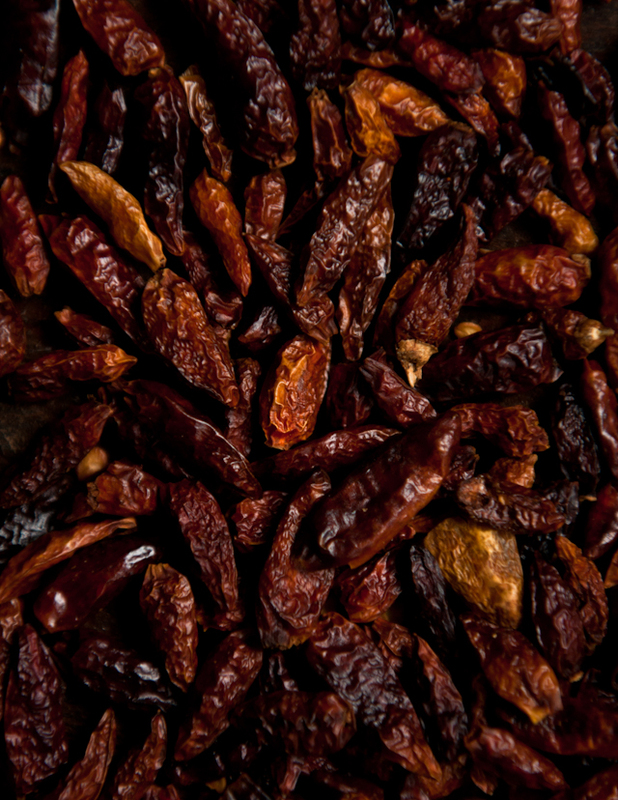 Note: if you don't have peperoncino, substitute with a 1/2 tspn of chili pepper flakes. 1. In a pot of boiling water, blanch the broccoli rabe for a few minutes, until it turns vibrant green. Remove, drain, and rinse with cold water to halt the cooking. 2. In a saucepan, heat a small amount of olive oil to coat. 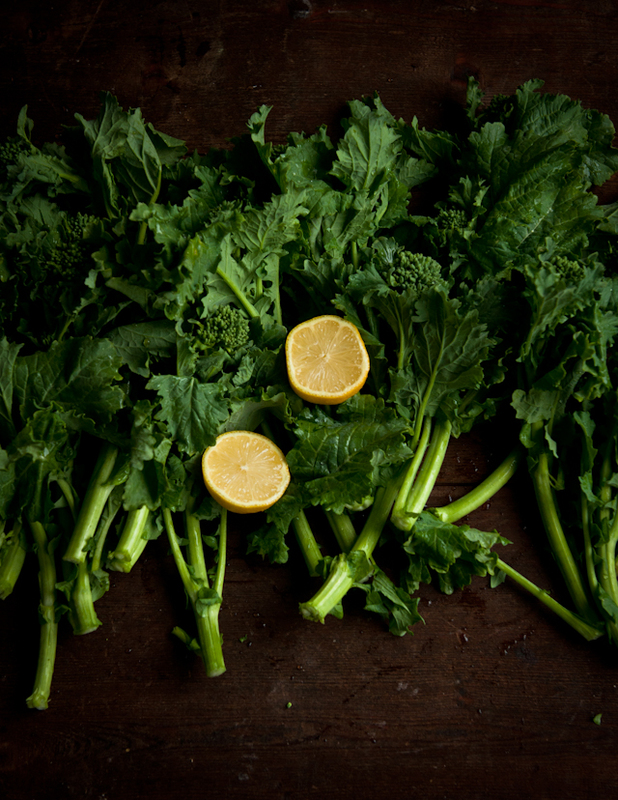 Saute the broccoli rabe for short few minutes with lemon juice, a small amount of red wine vinegar, and salt. Adjust amounts to taste. 3. Serve with shredded pecorino romano cheese, if desired. i want to jump into that pizza and eat it completely! 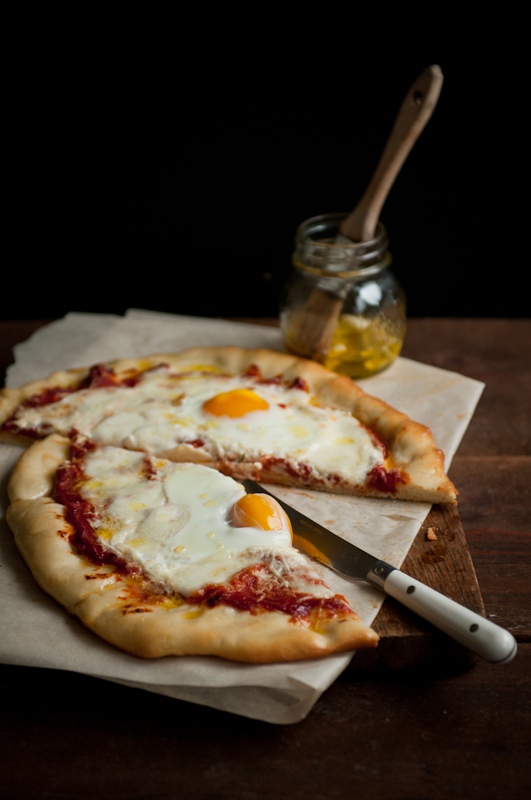 Ooooh I love egg on pizza....it marries my two favorite foods! Lovely photographs and an absolutely gorgeous recipe! Love your site, take care! This sounds freaking fantastic! Looove that cheese! S, this is my favorite post! I'm blown away with the beautiful light in the pictures and gorgeousness of it all. And now, pass me that pizza please! There's hardly anything in the world I love more than homemade pizza. Normally I make a big batch of dough and freeze some, but there's something very indulgent about just making this pizza for one. 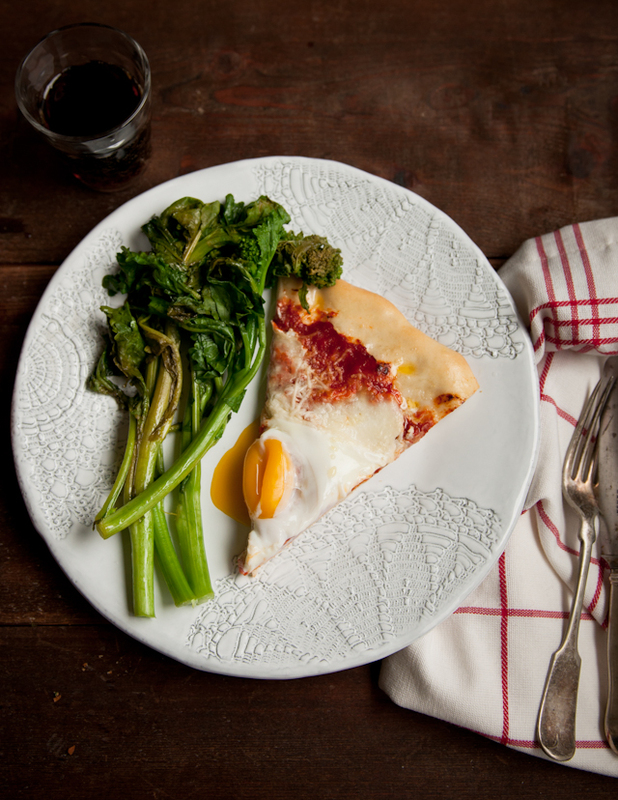 Love the egg on top and spicy greens on the side. Delicious! I looks so incredible! I definitely have to make this! i LOVE the plate in the last photo! so cute! wow looks amazing. 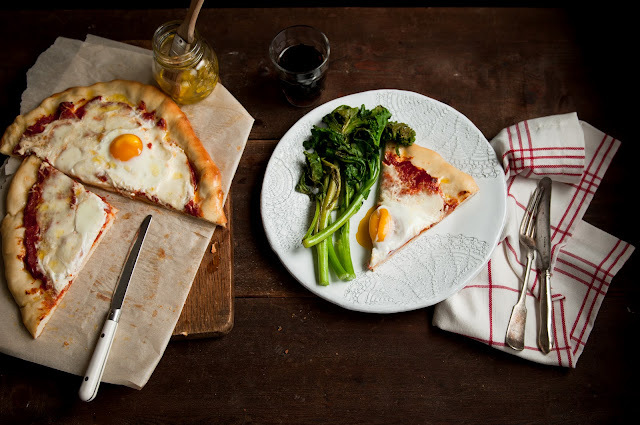 and korean b/c koreans love putting egg and other items on their pizza. Simple and beautiful. Love the shots! 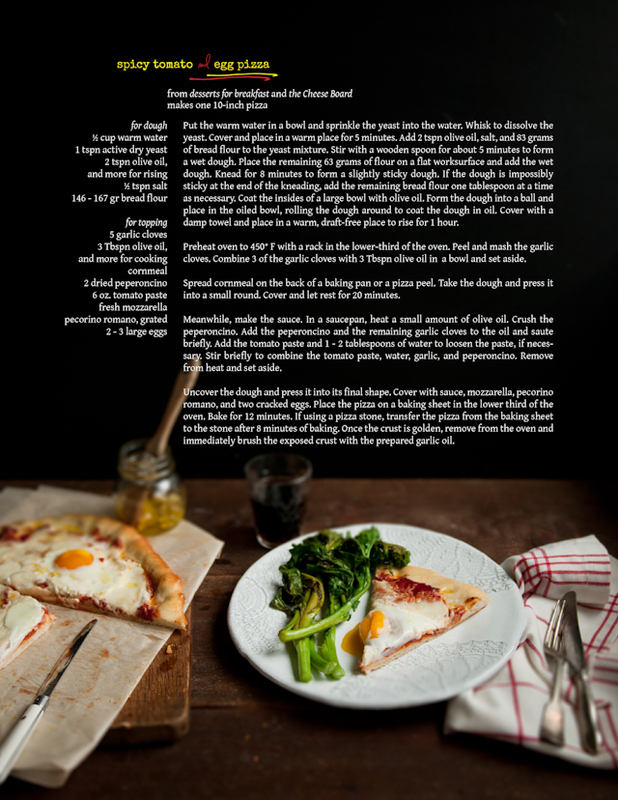 Love this recipe and the way you describe the eggs seeping in the crevices between the spikes of cheese....I don't know how I am going to hold out til breakfast. Oh, and btw, don't think I am not going to point out to my children what the "other mothers" get when they visit their daughters, ha!! What a good girl you obviously are!